Deliver your customized message directly to the in-boxes of our highly qualified subscribers. 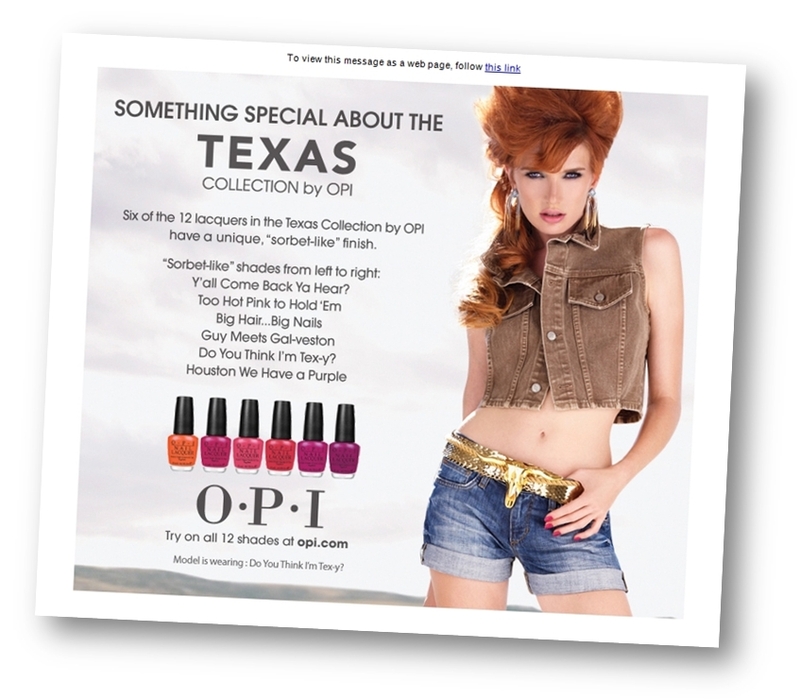 We can produce and deliver an e-mail promotion with your advertising or news message to more than 40,000 online users. You provide the material or we can assist with development. E-mail promotions are ideal for company announcements, calls to actions, recruitment, and developing an e-mail list. 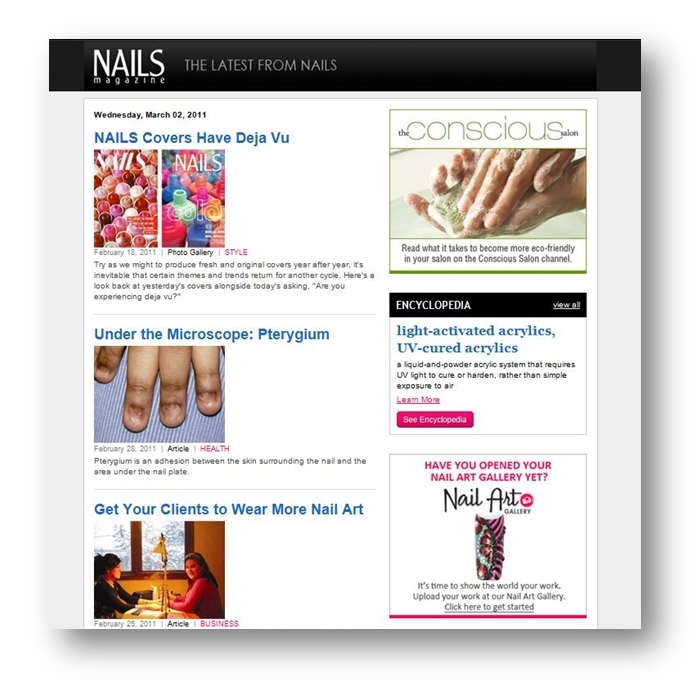 The Latest from NAILS is a weekly e-newsletter that provides up-to-date happenings in the world of NailsMag.com. Available are attention-grabbing banner ads that can help build your brand awareness, drive traffic to your website and can help you develop highly qualified leads. We can create Custom Programs for you. We can practically create anything your team is able to imagine. We can put together microsites, landing pages, lead-generation programs, white paper downloads, or something tailored to your specific company. 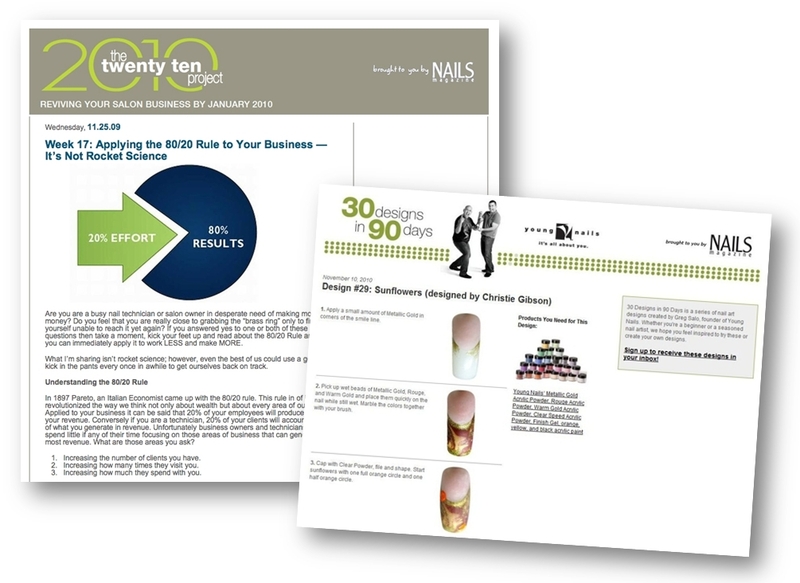 For a sample project, visit www.nailsmag.com/90days. We created a custom e-newsletter fo a client that included interactive calculators, a 90-day e-mail program, banner ads, e-mail address collection, and a hosted microsite.